Like I said earlier, upgrading the firmware did not reset the unlock counter which read 10 out of 10. I had to reset the counter with a software. 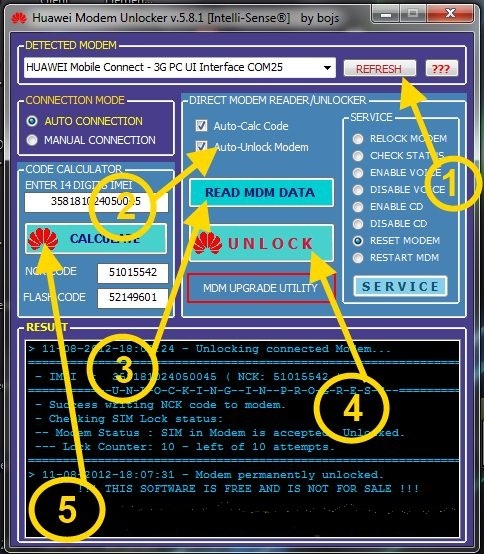 If you haven’t entered your unlock code 10 times like the guy in question did, you can still do it if you want tounlock your modem, anyway. Congratulation! Now you’ve successfully reset “permanently locked” of your Huawei modem to 10 times again. Lastly, click on Calculate to generate the flash code. You’re gonna be needing it later. Hope you have rested your unlock code counter so please do Share/Like this article to your friend and give us support by commenting.